Jefferson Tester, the H.P. Meissner Professor of Chemical Engineering at MIT headed an MIT-led study of the potential for ramping up geothermal energy within the United States. Tester was part of the 18-member panel that prepared the 400-plus page study, "The Future of Geothermal Energy," (PDF 14.1MB) for the U.S. Department of Energy. I have summarized some of the main points from an article (page 3) in MIT TechTalk. If geothermal is going to be anything more than a minor curiosity, it has to reach at least the level of hydro and nuclear power, or 100,000 megawatts out of 1 million--one-tenth of total capacity," he said. Among geothermal's advantages are its below-ground, out-of-sight nature, making it easier to site, and its high capacity and because, unike solar or wind, it runs a the time. Environmental impacts are "markedly lower than conventional fossil-fuel and nuclear power plants." Meeting water requirements for geothermal plants may be an issue, particularly in arid regions. Huge potential especially if they were allowed to drill in the Yellow stone Caldera. 30,000 feet is quite a depth however, few shafts have been sunk that far, the deapest was about 15k or 45000 feet. 30,000 is near the edge of practicality as plasticity of the rock and requirment for cooling the drill become critical a little deaper. A little piece about the deepest hole. The heat mentioned shows the huge potential of such systems but I have to wonder if over producing in the west and taking the transmittion loss might be easier than driving deep enough in the east to tap this kind of heat in the east. Need more progress on supperconducting cable. The use of abandoned mines, even flooded ones for community sized heat pumps should also be looked at. 2. Not neccisarily true of geothermal assuming the steam is recaptured back into water. But certainly, it's less of a waterhog than coal or nuclear. I was actually suprised to find that 39% of all US fresh water is spent on power plants. Also for anyone actually on the westcoast. Grey, why would it be less of a water hog than coal or natural gas or nuclear? If the steam can be recaptured, how would the water molecules know from whence they came? This is perhaps the best discussion on that paper. Because all the geothermal has to do is compress it enough to turn it back into water. Nuclear would not only need to compress it back to water, but also cool it to the extent that it could be used again as cooling fluid. Also, considering the context is arid regions. There likely isn't a nearby lake or ocean to borrow. Where as underground resivours are always availible. This could only come from a person who has no idea of what a steam table is, let alone how to use one. You just re-invented the perpetual-motion machine. If, as you just implied, a geothermal powerplant could operate as a perpetual-motion machine, why could a nuclear powerplant not do the same? Thats your implication, not mine. We are comparing a cooling fluid, versus a heating fluid. All I'm saying is, it's easier to cool water down to the point where it's merely liquid. Versus making it a "cold liquid". Likewise nuclear if it were to operate this way in a hot region, it would need to build holding resivours for all this, at a large infrastructure cost. Geothermal on the other hand, between the earth's natural percolation and the infrastructure built by default, you'd have it sitting right there for you. GreyFlcn wrote: We are comparing a cooling fluid, versus a heating fluid. That is incorrect. Nuclear and geothermal powerplants operate upon identical fundamental principals. In either case, fluid is used to cool a core. In either case, that fluid then heats the general environment of the plant. Operating a geothermal powerplant transfers heat -- via core-cooling fluid -- from underground to the atmosphere, making that atmosphere hotter than it would have been otherwise. Other than Iceland, is there anywhere where Geothermal is economically viable without subsidies? Both projects need heating fluid. But Geothermal doesn't need cooling fluid. All energy projects recieve subsidies. In Nuclear's case, more than all renewables combined. Geothermal, gets almost zero federal support and is currently at the 4 $/W range. GreyFlcn wrote: Geothermal doesn't need cooling fluid. If you do not cool your "heating" (actually, core-cooling, of course) fluid down at some point, you are not going to make any power. You are again implying that geothermal powerplants can operate as perpetual-motion machines. Those tables refer to withdrawals. Most of the fresh water withdrawals are for once-through cooling systems, in which most of the water is returned to a river or lake and can (mostly) be reused. So it isn't being 'spent'. While geothermal shows great promise, this study is pathetic. The authors do not have a clue about making electricity or the environmental impact. Arsenic is totally glossed over. After reading sections of the report and looking at the references, the authors are only offering an opinions based on Internet research for information about other sources of energy. Interesting bit of trivia: the T in MIT once stood for "Technology". Kit P., many of the references are from peer reviewed journals. Now while these journals are available on the web that certainly doesn't belittle them any! GreyFlcn, when steam is expanded to a lower pressure, it condenses at a lower temperature. When it leaves the condenser it is inevitably at a lower temperature than when it left the steam generator, as well as in a phase with lower heat content. Short version: your claim is utter nonsense. When someone goes to the trouble of writing you a reality check, you should cash it. Marcus, I am not commenting on the the references or geothermal potential. It is the authors of this study that I am belittling. First, they did not select the correct references for evaluating environmental impact. Second, they did not correctly evaluate the info form EIA. I already knew that geothermal had great potential. Geothermal has the same problem with NIMBYism that hydroelectric, coal, and nuclear have. Maybe MIT was getting paid by the page. Nuclear plants produce steam at a slightly lower temperature and pressure than coal plants, on average. That is why they are slightly less efficient. For geothermal plants the heat source is generally much cooler than a reactor core so efficiency is much lower. That means much more waste heat per kWh, and much more water consumption per kWh if wet cooling towers are used. Dry cooling towers are much less efficient at extracting heat than wet towers. They need a larger temperature differential to extract heat which raises the effective T low, reducing efficiency, and they consume more electricity running fans to pump huge volumes of air through the heat exchangers, and they are very expensive. Thats why generators like geothermal, CSP, OTEC, and even nuclear PWRs tend to use a pressurized working fluid. And what industrial scale electricity generation system doesn't have NIMBYism and have to follow an EIR? And then the sneaky disapproval. Looks like they want to roll out some new Geothermal plants using their tech. Anyone know how deep you have to go to get reach temperatures of about 150 C vs. 400 C.? GreyFlcn, you are correct that all energy projects have to meet safety and environmental standards. Even those solar panels people think are so cool. Making energy is dangerous. If I burn green wood that results in a chimney fire that kills my children, should I be held legally responsible? There is a certain logic to NIMBYism. Maybe, I do not think your cool technology is so so cool when I have look at it every day. It is clear that GreyFlcn does not want a nuclear power plant in his back yard. Reading the MIT report, it is easy to see why GreyFlcn believes nuclear power is obsolete and could be replaced with geothermal. Environmental activism has made producing energy more expensive and more uncertain. The irony is that it is people like GreyFlcn who will prevent geothermal from happening while making nuclear come back an option. What MIT missed is that 33 new nukes are in permit planning with a design life of 60 years, 50 % of existing nuke plants have been extended for 60 years, and the remaining plants will most likely also be extended for 60 years. Over the years, nuke case law has been settled. Every time a coal, wind farm, or geothermal project gets shot down based on NIMBYism, it makes nukes better to investors. Well, I see it as more of an issue of opportunity costs, and externality costs. For that same reason I would highly discourage Ethanol and PEM fuel cells. I'm pretty well aware Geothermal isn't going anywhere fast though. Its current capital cost is $4000/KW, which is more than double what nuclear costs now. What I do see however is the raw potential. Since outside of the subsidies framework, if we're willing to do carbon sequestration, or nuclear sequestration. Essentially if we're doing that much digging, well digging and exploration-for-digging is nearly all the cost of geothermal. Like Solar was 2 years ago, Geothermal is basically the same as it was 20 years ago. Given better drilling and exploration tech, Geothermal could easily compete with Nuclear. But obviously, it's just not there yet. Both in technology, and in funding. Could it be there in 5 years, given some minor attention? Hell yes. Then I remembered that all the drilling equipment is run on a hybrid electric system. So apparently drilling motors is their game. Wow, and it looks like they are playing that game well. "According to Raser, even with the most advanced permanent magnet neodymium super magnet materials, the flux density within the brushless DC motor is only half the flux capacity of iron. By contrast, Raser claims that its motor delivers near saturation flux capacity, effectively doubling iron utilization. Maximizing flux density in the motor allows doubling of torque per unit of heat generation relative to a brushless DC motor. In other words, torque may be produced with less than a fourth of the energy losses. Power density is over twice as great for a given heat dissipation with a corresponding increase in motor efficiency. The Symetron motor always operates efficiently at the ideal 90° torque angle yielding a three-fold boost in torque density (torque per pound of motor weight) over AC induction motors operating at a torque angle of 160° to 170° degrees, according to the company." That is incorrect. 2 years ago, PV solar was at $9,000/kW. Today, PV solar is still at $9,000/kW. CIGS is pretty cool to look at. Looks like glossy photograph negatives film, cept with some copper wire strips laminated on it. Wow, that would be really expensive land for building PV plants. Desert land is typically at least 1000 times less expensive. FWIW, a great deal of "expensive" real estate is available for solar energy for free. Buildings need roofing and glazing, and these elements may actually be improved by addition of PV capabilities. On top of this, power delivered at the point of use has zero losses or expenses for transmission and distribution. Tell MIT and EP that it is not the price of real estate. Location and economy of scale. Both solar and geothermal are limited by these factors. Each site must be evaluated and is limited by the amount of energy at the site. So just how stupid is PV on roofs. Although, the cost of transmission is zero, the additional cost of the reverse power breaker is hard to justify. Faux solar panels sounds like a great idea. Since PV does not work anyhow, just skip the hard part of making power and avoid the scam artist. You will know PV is a good idea when the utility starts paying to you make electricity on your roof. I'd argue with you, Kit P., but the unwashed masses might mistake me for the idiot. Gee Kit P., did George W. hire you to troll the boards? At least it's entertaining to watch E.P. and others shoot huge holes into your trolling. And what would they call it when that happens? Maybe "NetMetering" would be a good phrase? As for how "difficult" solar panels are. They couldn't get much simpler. Geothermal, it's better in some places and worse in others. But thats true of any technology. Particularly Nuclear, which is usually hamstrung by either the need for massive cooling towers, or massive tracks of beachfront property. And last I checked, Beachfront property. I have only one concern. What happens when the cool water being pumped 30,000 feet down cracks the stone of a blocked volcanic vent? We get a huge release of CO2 and who knows what other hazardous compounds blasting out as a Volcanic eruption occurs. Not my idea of an environmentally frendly source of energy. Give me surface geothermal, solar, wave and wind energy any day! The figure is not 300 megawatts, but several gigawatts. GreyFlcn, you linked marketing video. Yes, someone is willing to take your money. Your meter will turn backwards on a nice sunny day. The utility may be required to pay you a small amount but they are not investing investor's money. Any fool can make electricity on a nice day when you do not need it. Where will all those PV marketing guys be when it is 30 below at 4 am? PV solar does not work when you need it. Second, PV solar does not work very long. The solar industry does not talk about how much electricity they produce, they talk about how many consumers they rip off each year. A minor comment about the video. You can tell it was not a utility installing the panels by the unsafe work practices. Kit P. is a strange kind of creature, affected with a defect in his vision. He can only see what he's been told to believe; I think this is called "dogmatism", kind of like astigmatism but it means he can only see things with the proper political slants. Little things like the 25-year warranty on current PV panels show what kind of fool he is, but it's on the wrong slant and he can't see it. Higher cost for smaller systems is largely installation cost. BIPV will reduce this a lot in future. Average cost of 125 W panels $4.88/W, but low end for cSi is $3.23/W and low end of thinfilm is $2.25/W. Prices are higher than they should be due to high demand. The 125 W panel price will drop dramatically in near future. Not as dramatically as we'd all like because demand will kick in again. Will take some years for Nanosolar and other CIGS manufactures to bring PV panel prices down below $1/W, but they are going there. Combine this with cheaper BIPV installation and solar will be much cheaper in near future. I just bought a heat pump with a lifetime warranty on the compressor. However, after 10 years I have to pay for labor. Most likely it will be cheaper in 11 years to replace whole unit than pay the labor on the installing the new compressor. Only a fool think a warranty produces electricity. Instead of calling me a fool, just find the number for the amount of electricity produced by solar. Demanding to see the performance of solar would appear to be the opposite of dogmatism. I think it good to keep in mind the safety issue. 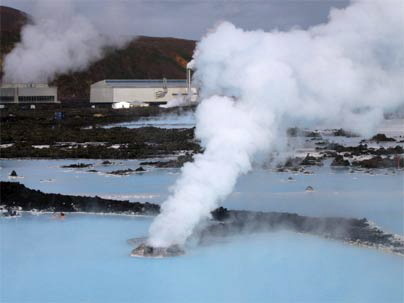 Geothermal is a safer technology than nuclear and should be developed with this aspect in mind. Costs for nuclear include both equipment and radiation insurance; I don't think that the costs of Cherynoble have been averaged in for nuclear in general. I would take Geothermal any day. I would not feel secure living within 10 miles of a nuclear facility, even if iodine tablets are being handed out for free. I don't think that the costs of Cherynoble have been averaged in for nuclear in general. And why should they be? The Chernobyl design was horrifically deficient, unlicensable in the west. Why average it with prudently designed technologies just because they both happen to use uranium? The trick is that Uranium accidents don't go away. "Uranium accidents" do indeed go away. Look up the work of Ronald Chesser. Dietz is right. The West had learned the lessons of Chernobyl by the early 1950s. The Soviet Union took longer, but nuclear icebreakers that Russia inherited from it embody those lessons to good enough effect that contractors for antinuclear organizations quietly get on board, as if aware that nuclear marine propulsion is the safest kind, but that they won't be paid if they say this. Wasn't he debunked by the US National Academy of Science? I sure hope you aren't talking about Patrick Moore from GreenPeace. Or even worse Christine Todd Whitman from the EPA. Both are now co-chairs of CASE, the current largest nuclear lobbying organization. Careful what you ask for. If only the safest way of generating electricity was allowed then you all would be required to own all electric houses generated only by nuclear. Transporting coal, natural gas, wind turbines, and solar panels would be banned as too dangerous. Nuclear power is generally accepted as 100 times safer than other sources of electricity.